I have a stupid question... What year of the 4th Gen Ludes came with cup holders? Or did all years come with them, just different models? so is it like a 94+ style? im not sure what the 94+ looks like. Mine is kinda worthless if you as me. Ok, where you have your mirror stuff and everything else on my car is completely flat. The E brake is right in the center, and facing the back is an ashtay, then in the front is another ashtray. I want one like yours!!! lol... yeah the older models have a different center console. i'd imagine swapping out the console itself isn't that big of a deal. the problem is moving the e-brake. So its been done, but time consuming. So those of you that have the 94+ console, does the cup holder work. Is it worth it? people say the cover thing breaks, but mine's still good. the picture i posted earlier was taken probably about a month ago. wha every one says is the change holder i used to put my console for my jdm fog and antenna switch. which also comes wit a small change holder it fits perfectly. ill see if i can find a pic of it. fit perfectly in that spot. Last edited by Qnz92Lude; 08-17-2006 at 11:54 AM. that goes in place of teh 94-96 cupholder? i am sorta confused but that looks awesome ! did you buy that?! i don't think so sleepy. i believe it's for the pre-94 models. 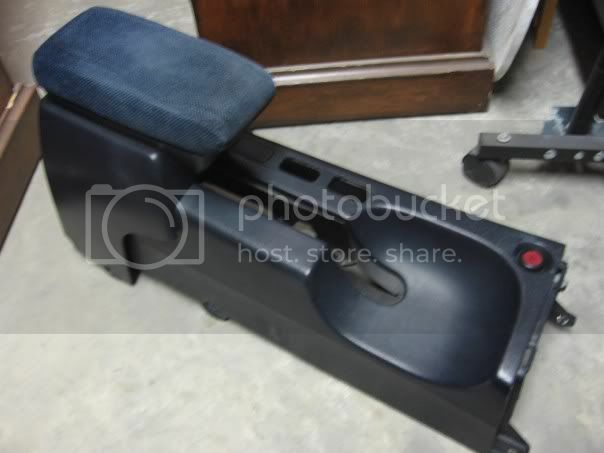 the ebay listing says: "This mounts in the centre console behind the e-brake." for 94+, we have nothing behind the e-brake. see the pic i posted further up. also, the foglight switch goes where i put my alarm led. that's why i think that's for pre-94 models. no, i have a 92 lude and it fits perfect in that spot. here... i got bored at work. 92. extends from the front to the back. for the front portion, see 93-94. 93-94. just like the 92, except without the back portion. 94+. like the 93-94, these don't have the back portion. the e-brake has been moved closer to the driver, freeing up room for a cup holder. buttons have been moved towards the front. and the 94-96 is corect. i still might make a thread to specify them all if everyone wants. or not. whatever. ok...i see what you all are saying but can we have a CLOSE UP pic of what is being done here..
like show a before and afters shots . Re: 4th Gen cup holders???? Haha mine is a 93 2.2l vtec and I did not get a cup holder. Still keep in it alive. I also have 93 2.2 with no cup holder, or arm rest. Does this make it more of a race car. HA!